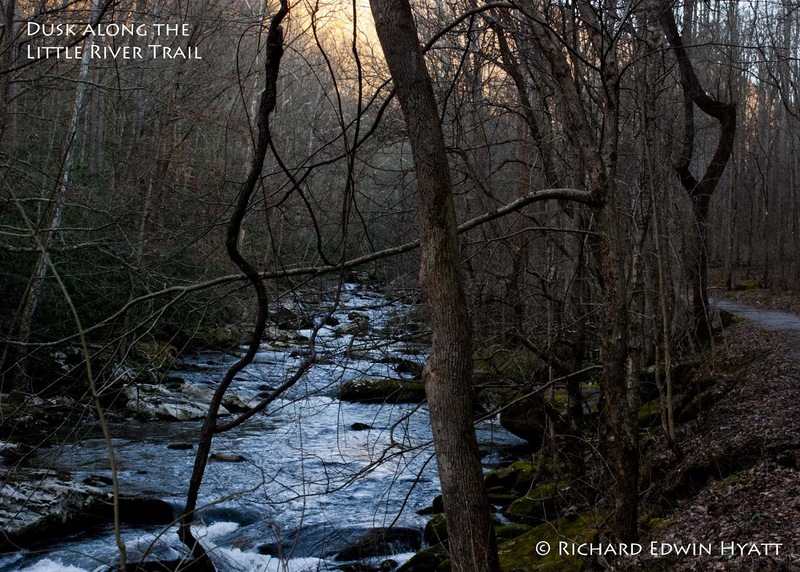 This weekend we went to the Great Smoky Mountains National Park. Elkmont, Tennessee is one of the last places where families were allowed lease the buildings there and to remain after the Smokys were made into a park. The last of these leases expired in 2001. The park service began restoring the old buildings that were determined to be of historic value in 2010. Others are to be torn down. New parking areas and other buildings are being constructed to accommodate the trail system and campground that are already in place. 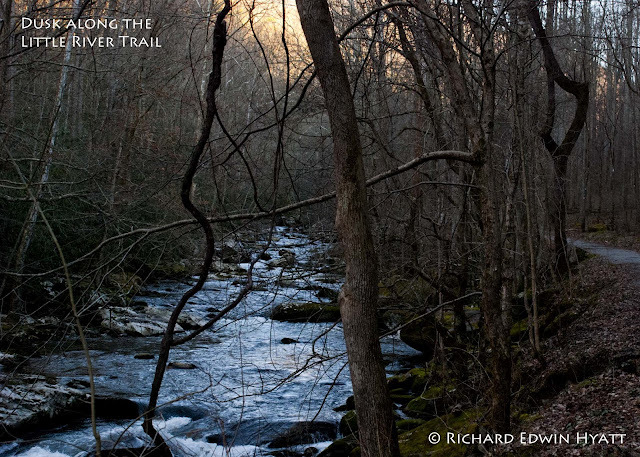 We walked at near dusk along the Little River Trail, looking for river otters. But, didn't find any. I did find these trilliums along the trail. It will be interesting to go back soon and find them blooming. 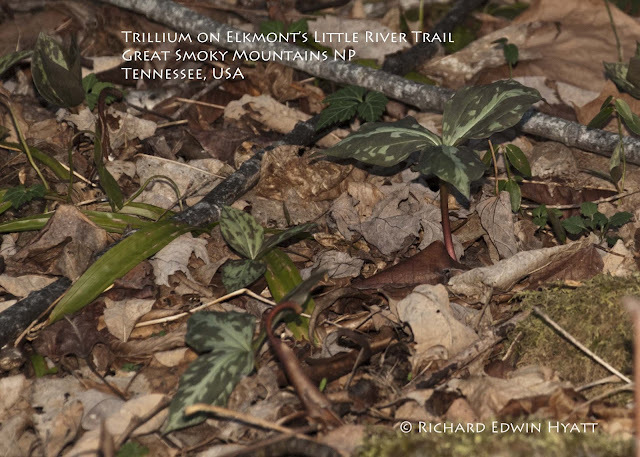 We saw trilliums on the Cherokee Trail at Stone Mountain yesterday! I looked at one of the Stone Mountain websites and they call them "Trout Lilies" due to the markings on the leaves. The color of the flower was a bright clear yellow and they were just beginning to bloom, you could see where some were just pushing themselves up through the leaves. If not for you, I might not have noticed them! When I talk about them on my blog, is it okay if I put a link to your blog? Check out yesterday's post for a small giveaway! Sure you can link my blog to yours.